Hudson County View covered the seven year saga of an ethics complaint against Mayor Ravi Bhalla that won't die. The complaint was originally filed by long time Bhalla nemesis Perry Belfiore. Last year, Belfiore collected over $50,000 in a settlement with the City of Hoboken after filing a civil lawsuit when then councilman Ravi Bhalla tossed him out of a 2015 City Council meeting he spoke at in public portion. MSV exclusively reported on the behind the scenes events leading up to Belfiore's ejection. 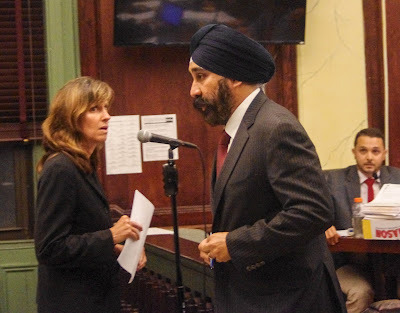 Bhalla allegedly had Belfiore removed by Hoboken Police on orders from former mayor Dawn Zimmer. complaint is somehow revived again. Hudson County View covered the story.